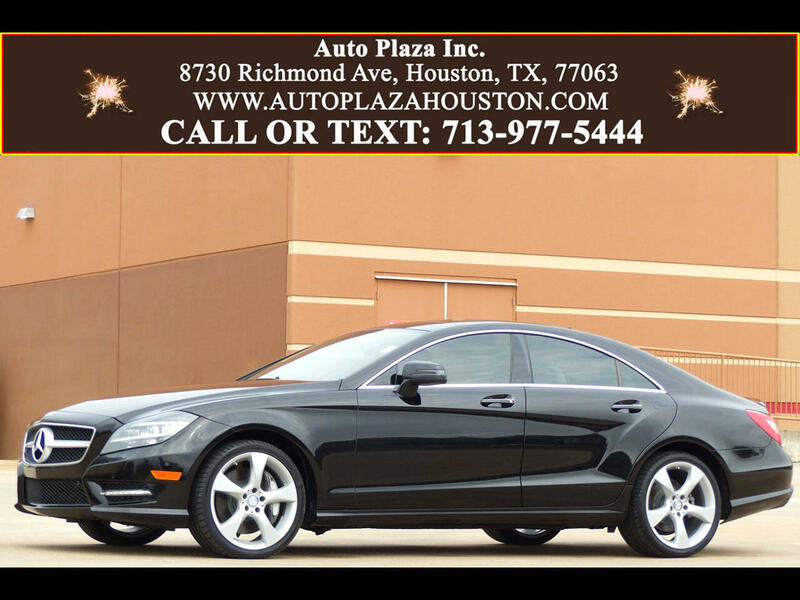 Used 2014 Mercedes-Benz CLS-Class CLS550 for Sale in HOUSTON TX 77063 Auto Plaza, Inc.
*-* Rare 2 Tone Designo Interior Package *-* Presenting this ABSOLUTELY STUNNING 2014 Mercedes-Benz CLS550 With a Slick Automatic Transmission. This CLS550 has the Premium 1 and Lane Tracking Packages and screams SUCCESS, with its Advanced German Engineering, Seductive Styling, and Advanced Technological Features. Options include, COMAND Navigation, Power Sunroof, Front and Rear Parking Sensors, Backup Camera, Blind Spot Assist, Lane Departure Warning, 19" AMG Five Spoke Alloy Wheels, Paddle Shifters, Push Button Start, Premium Harmon Kardon Audio, CD/DVD Player, Bluetooth, Power Heated/Cooled Ventilated Leather Seats, SIRIUS Satellite Radio, Power Rear-Window SunShade, Automatic Climate Control, Keyless Go, Power Sport Steering Wheel - Tilt and Telescopic - with Audio Control, Tire Pressure Monitor, Cornering Fog Lamps, Power Mirrors with Turn Signal, Power Locks, Power Windows, Tilt Steering, Cruise Control, Dual Air Bags, ABS Brakes, Power Steering, Power Seats, Rear Defroster, and Much More! The Advanced Mercedes-Benz Technology and Engineering Ensures that you Experience Exceptional Handling and Stability, Offering you a Ride that is Safe and Secure. This vehicle is truly a Blend of Speed and Top of the Line Engineering, and We Are Sure That Once You Take this Baby for a Spin you will Understand all the Excitement! So, CALL NOW! Financing Available. .. . . . . . . . . . . . . . . . . . . . . .More Pictures Available On Our Website.
. . . . . . . . . . . . . . . . . . . ..WWW.AUTOPLAZAHOUSTON.COM. . . . . . . . . . . . . . . . . . . . . .